You're going to be jealous of what Susan Crandall is reading! As any voracious reader knows, there are so many books out there, it can be hard to choose just what to read next. So what could be better than a hand-picked recommendation from someone in the know? Every Wednesday the XOXOAD team likes to find out what some of its favorite authors are reading. This week, we’ve asked Susan Crandall, author of the forthcoming The Flying Circus and last years Target Club Pick: Whistling Pass The Graveyard! It is clearly no surprise that writers love to read. It’s what drew us to our profession in the first place. What does surprise many people is that writers have very little time for their own pleasure reading. Between writing, research, promotion, and real life, there are few precious hours left. Toss in the number of pre-published manuscripts that come your way requesting endorsements (also known as blurbs, or work reading in my house) and there usually isn’t enough oil left in the lamp. Imagine my happiness when pleasure reading and “work reading” delightfully intersect. 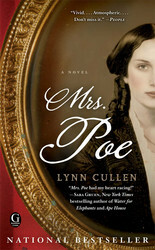 Such has been the case over the past few days as I’ve had the privilege of reading a new manuscript by Lynn Cullen (author of Mrs. Poe), TWAIN’S END. Ms. Cullen has proven herself a master at inviting us mere mortals into the private realms of literary giants through her historical fiction and this book does not disappoint. In fact, I’ve just returned from a five day wedding celebration where I found myself reluctant to put down my pages and join the festivities. And that horrible confinement of two long flights was barely noticeable. Naturally, I’m a fan of Mark Twain’s work, but I’ve never thought of him beyond his public persona and his wonderful writings. 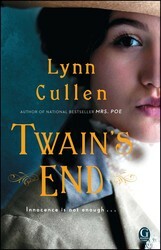 TWAIN’S END tells the story of the end years of the life of Samuel Clemens—when you read the book you will discover the difference between the two sides (Mark and Sam) of this complicated man. I admit, I am loathe for it to end. But fortunately there are a limited number of pages and it will indeed end. 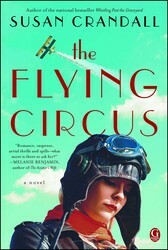 And then I must get on with my own work, which includes a wonderful book signing tour for my July 7 release, THE FLYING CIRCUS, where once again pleasure and work intersect! From the bestselling and award-winning author of Whistling Past the Graveyard comes an adventure tale about two daredevils and a farm boy who embark on the journey of a lifetime across America's heartland in the Roaring Twenties. Frances Osgood finds herself embroiled in a passionate affair with the rakish--and married!--writer...but dallying with this master of horror may be more dangerous than she could ever imagine.